Mike Lynch, 54, is one of the most celebrated entrepreneurs in the UK, having sold his software startup Autonomy to HP in 2011 for $11.7 billion (£8.7 billion). That reputation is at risk after Lynch was charged in the US with fraud and conspiracy over the HP deal. The central accusation is that Autonomy's execs inflated its revenues by $700 million (£552 million) before the deal. Lynch counter-sued, leading to a legal battle that just became a lot more complicated. Lynch has always protested his innocence, and is fighting to maintain his central position in British tech. Michael Richard Lynch was born in Essex, UK on June 16, 1965. He had humble beginnings: his mother was a nurse and his father was a fireman. Lynch said that his father regretted not having the chance to go to university. "He realised the importance of education so that was something that was very much fostered in my home," Lynch told LeadersIn. When he was 11-years-old, he won a scholarship to study at Bancroft's School in Woodford, Essex. Today, for those not on a scholarship, the school charges £17,382 per student per year. Lynch, pictured in the centre of this five-piece jazz band, was interested in music from a young age. Lynch got his first taste of management from running a band in his early twenties. The name of the band isn't known. After school, Lynch went to the University of Cambridge to study natural sciences. During his course, he combined mathematics with biological and physical sciences. Lynch also studied electrical sciences as part of his degree. His interest in electrical sciences led him to meet Peter Rayner, who became his mentor in the signal processing laboratory at Cambridge's engineering department. After graduating, Lynch went on to complete a PhD at Cambridge in signal processing and communications research. It was titled: "Adaptive techniques in signal processing and connectionist models." The PhD can be viewed here. Towards the end of the 80s, Lynch founded a company called Lynett Systems Ltd. The company produced designs and audio products for the music industry. One invention included a sampler for the Atari ST known as the Lynex. That was followed by the ADAS sampler for Atari, Mac, and PC. In 1991, Lynch founded Cambridge Neurodynamics — a tech company that focused on computer-based fingerprint recognition. Lynch also sold some of his fingerprint machines to South Yorkshire Police. But Lynch decided to focus his efforts on software. He cofounded search software firm Autonomy in 1996 with David Tabizel and Richard Gaunt as a spinoff from Cambridge Neurodynamics. Autonomy would go on to be one of the UK's biggest tech companies. Autonomy's first attempt to commercialise its technology was in a consumer product. It featured a virtual dog that would take commands to help internet users manage information. However, soon after it launched, corporates started buying the technology in large numbers. This, coupled with the emerging trend of free consumer products online, was enough to persuade Lynch to shift towards concentrating on corporates. It was a key strategic move for Autonomy. Autonomy's software could also be used to sift through emails in place of humans and the company's pattern-matching algorithms were able to abstract meaning from a jumble of information. Lynch's beloved otterhound, Gromit (not pictured), became famous when it featured in some of Autonomy’s earlier products. Autonomy went public in 1998 with shares priced at 30p each. Autonomy witnessed the full power of the dotcom boom (and subsequent bust) when its shares climbed to over £100 in the late 90s before falling to 80p when the bubble burst in 2000/2001. Lynch told The Telegraph that managing a company through such tumultuous swings provided great training. "It was like the Wild West back then for volatile stocks," he said. "All sorts of things went on that don't go on these days. It was very good training, you learn how to deal with quite outrageous situations." In May 2007, Autonomy bought video search engine Blinkx from Suranga Chandratillake, who previously worked at Autonomy as CTO. Autonomy floated Blinkx in a stock market listing that valued the company at $250 million (£193 million).  Chandratillake told Business Insider: "Mike is a uniquely talented entrepreneur, especially within the European ecosystem. It's rare to find someone who is a PhD in data science but also a visionary product marketer and talented organisation builder. "I learned a great deal about business, product, marketing and the competitive element that is at the core of really successful organisations through the opportunity I had working for him as Autonomy's US CTO. Years later when he sold the company to HP, I wasn't surprised that it was the largest AI exit ever (still the case) and one of the top three technology exits from Europe in history (still the case)." Autonomy made a number of other sizable acquisitions including: search software rival Verity ($500 million, December 2005); email archiving and litigation support company Zantaz ($375 million, July 2007); records management software firm Meridio Holdings (£20 million, October 2007); enterprise content management firm Interwoven ($775 million, January 2009); and online backup provider Iron Mountain Digital ($380 million, May 2011). In October 2011, Lynch sold Autonomy to Hewlett-Packard for $11.7 billion (£8.7 billion) as the US tech giant looked to put more of a focus on software and less on hardware. Léo Apotheker was HP's CEO at the time but he was fired by the board as the controversial deal went through. The acquisition turned out to be highly controversial and many of HP's shareholders claimed that HP had overpaid at the time. Lynch took £500 million from the deal, according to ComputerworldUK. In September 2011, Apotheker was replaced by former eBay CEO Meg Whitman. She remained committed to the Autonomy deal but she and Lynch didn't always see eye-to-eye. In November 2012, HP announced an $8.8 billion writedown related to the Autonomy acquisition, with $5 billion due to alleged "accounting irregularities" that led HP to massively overpay for Autonomy. That same month, investors started taking legal action against HP based on how it handled the deal. In December 2012, the US Justice Department began its probe into the Autonomy sale. The US Securities and Exchange Commission was also informed. Around the same time, auditing giant Deloitte, which had been involved in the acquisition, came out in support of Lynch and Autonomy. HP's legal battle with investors lasted 2 years before the firm won the right to settle out of court in March 2015, leaving it free to pursue Mike Lynch. HP sued Lynch that same month for $5.1 billion in the UK's High Court. It's this court case which has resulted in the wider spaghetti of legal entanglements between HP and Autonomy's former executives. In its filings to the UK High Court case, HP unveiled full details of the acquisition. It said that Lynch inflated revenues by $700 million (£541 million) over a two-and-a-half year period. After writing off three quarters of Autonomy's value, HP sold what was left of the company to British firm Micro Focus in September 2016 as part of an $8.8 billion (£6.8 billion) deal that involved other HP business units. Just to confuse things further, Lynch counter-sued HP in October 2015 for more than $150 million. Both suits are still ongoing. In October 2015, Lynch counter-sued HP in London's High Court for more than $150 million (£116 million) over the allegations of massive fraud it levelled against him. Lynch accused Whitman of trashing his reputation and hampering his venture capital fundraising efforts. In the meantime, Lynch planned a $1 billion (£770 million) fund called Invoke Capital to invest in fundamental European technologies. Commenting on the fallout between HP and Autonomy at TechCrunch Disrupt last December, Lynch said: "It's a sad thing that happened in the end." He added: "The UK model is there's no way of stopping a takeover. So when Hewlett Packard came along and wanted to make its offer, we couldn't stop them. The people that were doing it at the time, Leo and Shane (head of strategy), had an amazing strategy. What they wanted to do was to take the company, refocus it into this new age of big data and software and machine intelligence and that was exciting and we got convinced by them. "We could see the future was that way. The problem was the week after the deal they get fired and we're left with a hardware group that used to call us the step-child. All the understanding of clever, high growth, software people wasn't there." The Invoke Capital fund was formed in 2012 and Lynch is using it to invest in up and coming UK and European tech firms. Invoke isn't like a normal venture capital fund, instead turning to unnamed backers who give it capital as and when it wants to make investments. So far it backed around 10 technologies, according to Lynch, with tens of millions of pounds spent. However, only four companies are listed on the Invoke Capital website. One of the first companies Lynch has backed is cybersecurity firm Darktrace, which has its origins in Cambridge. "I've got about 60 of the people from Autonomy that work with me at Invoke," Lynch said at TechCrunch Disrupt. "We raised a billion and now we go out and invest in European tech." He added: "We raised our billion and what we're doing is taking bright ideas from bright people and turning them into impact and reality." 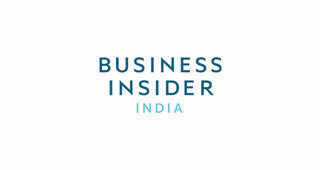 Other startups that Invoke has backed include data driven medicine startup Sophia Genetics and legal startup Luminance. Darktrace has developed software that helps organisations detect strange behaviour on their network. The company's technology, which can spot unusual email activity and suspicious file uploads, is underpinned by complex maths that was developed at Cambridge University. "The reason I liked it was that it was a completely new approach," said Lynch during a phone call with Business Insider last July. "Most of what's out there in cybersecurity is based on knowing what you’re looking. So things like anti-virus and that sort of stuff or trying to build a big wall around the outside of your company, a boundary. "The problem is that the world’s moved on and the attacks no longer have signatures. You can get kits that make attacks that don’t look like anything that's been done before. But also every day you allow loads of people to walk through your wall and so the wall is pretty porous. The reality I was familiar with from some of my other roles as directors of large companies is that it's very, very hard to keep stuff out. The reality is almost every company is infiltrated. So you have to take a different approach. You have to do it much more like an immune system." Darktrace is run by Nicole Eagan, formerly chief marketing officer of Autonomy, and Poppy Gustafsson, previously a financial executive at Autonomy. Darktrace is worth $1.65 billion after its most recent funding round. In an interview with Business Insider, Gustafsson said: "Mike is a brilliant mind, he's got incredible experience at growing organisations from nothing to something very significant." Lynch's successes through Invoke are being overshadowed by the ongoing Autonomy lawsuits. Former CFO Sushovan Hussain was charged with fraud in April 2018. A US jury found former Autonomy CFO Sushovan Hussain guilty of fraud. They found he had played a key part in the takeover by HP, which boosted his own wealth by $7.7 million. Hussain's sentencing has been postponed, and it's thought US prosecutors are trying to persuade him to give evidence against Mike Lynch. Sushovan has said he will appeal the conviction once sentencing has been passed. Now Mike Lynch has been charged with fraud and will likely face trial in the US. US Department of Justice filed 14 charges of fraud and conspiracy against Lynch in November 2018. The charges carry a maximum penalty of 20 years in prison, while US prosecutors would also like to see Lynch give up the $815 million he made from the Autonomy sale. Following the charges, Lynch has stepped back from his public activities. He stepped from the board of Darktrace, and as an advisor to the Royal Society, and the government. The Sunday Times once referred to Lynch as "Britain's Bill Gates," while The Financial Times called him "the doyen of European software". In his downtime, Lynch spends a lot of time learning and caring for rare breeds. He keeps red poll cattle and other rare animal breeds at his home in Suffolk. "I keep rare breeds," Lynch told Leaders In during an interview that was uploaded onto YouTube last June. "So I have cows that became defunct in the 1940s and pigs that no one has kept since the medieval times and none of them have any Apple products whatsoever." Lynch was asked whether he liked hunting at TechCrunch Disrupt last December. He replied: "I can assure you, I like foxes. They are my friends." Lynch will now have to fight to maintain his legacy and reputation as a rare successful British founder who managed to sell their company for billions. With his legal battles likely to drag on for years, it isn't clear where this leaves his future endeavours in tech.